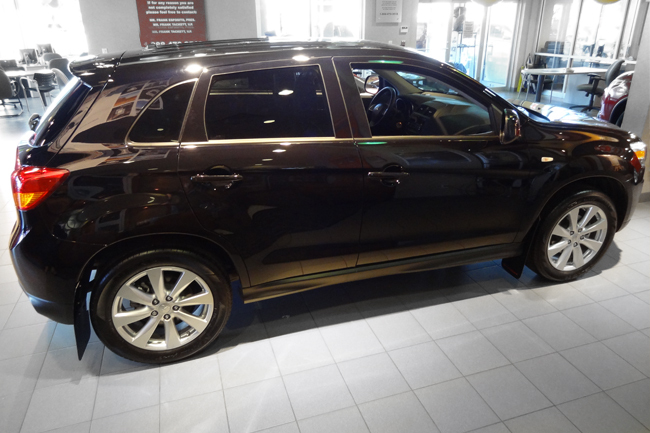 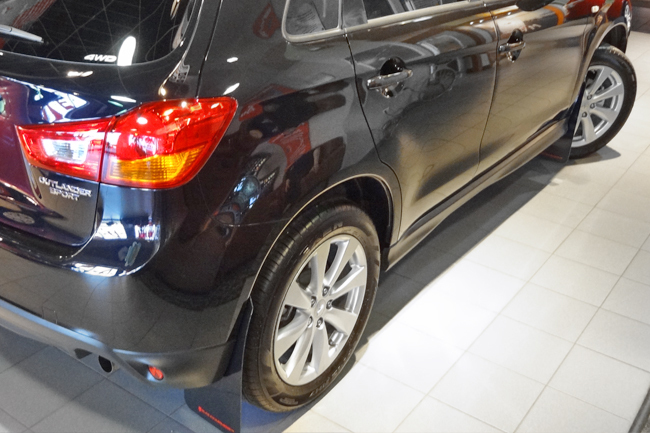 Since the core of Rally Armorâ€™s concepts on engineering and design are function and form, the goal was to develop a vehicle specific flap for the 2010+ Mitsubishi Outlander Sport/ASX/RVR while fusing both utility and composition into a durable, premium-end polyurethane (UR) application. 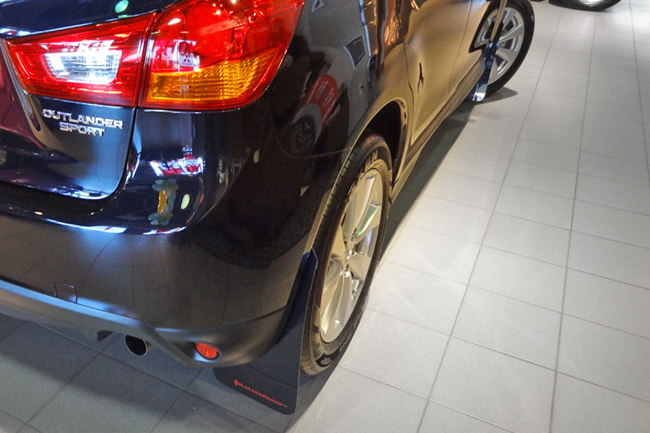 The outcome is a cohesive mud flap that combines broad coverage, rugged protection with custom-designed mounting brackets and hardware unique to the 10+ Outlander Sport/ASX/RVR. 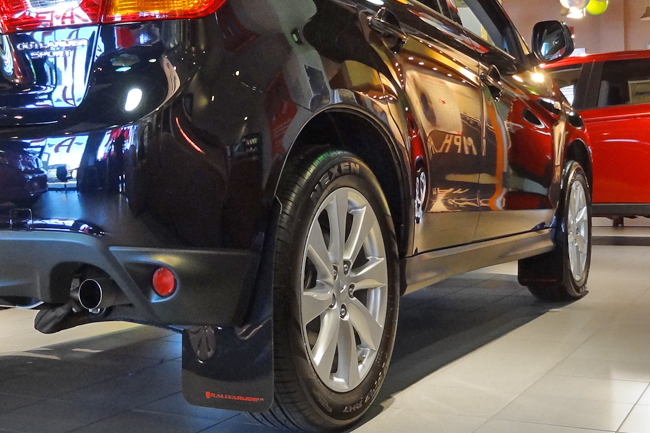 Rally Armor is pleased to present its UR series for the Mitsubishi Outlander Sport/ASX/RVR. 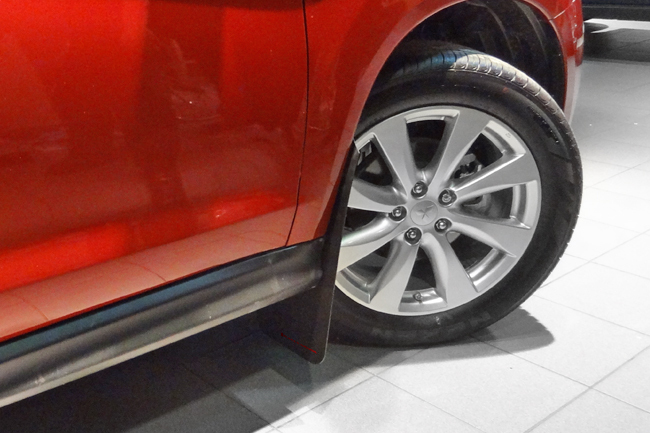 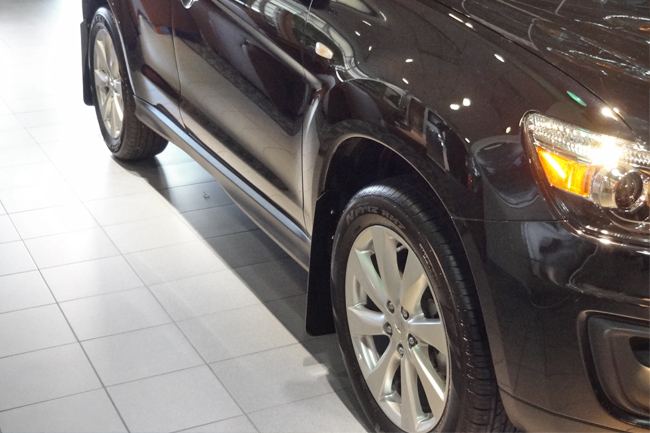 SUV owners in search of a pliable plastic formulated to outlast fluctuations in weather and road terrains while maintaining its sleek yet athletic profile will be pleased with the quality and construction of the UR mud flaps. 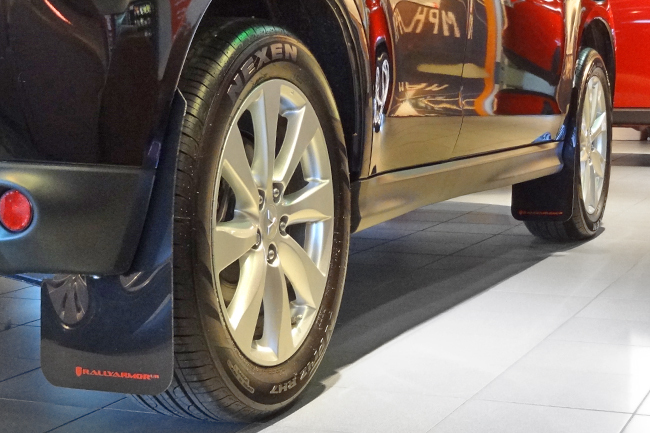 Tear and impact resistant, urethane is the undisputed champion of mud flap materials. 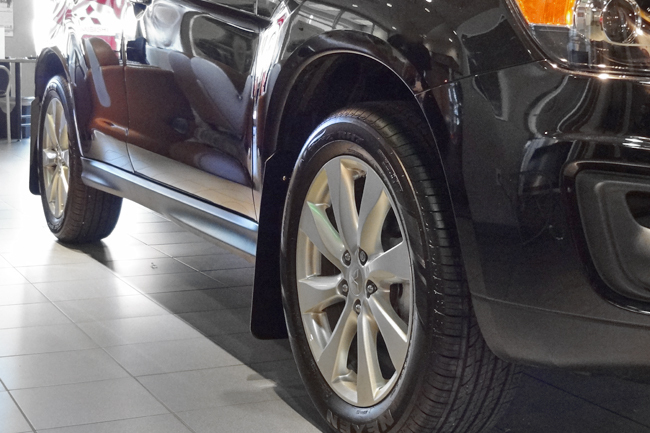 It consistently outperforms generic polyethylene and PVC plastics counterparts from wear, warping to shock resistance while retaining its highly elastic properties at below-freezing temperatures. 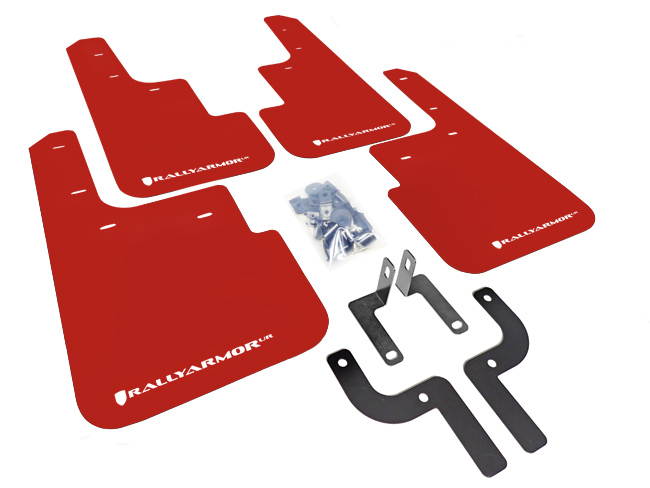 Distinct from alternative non-vehicle specific universal flaps commonly found in brick and mortar stores, Rally Armorâ€™s noteworthy mounting system features precision engineered brackets fabricated in the USA from high quality stainless and powder-coated steel; our hardware is exclusively developed to work with our mud flaps. 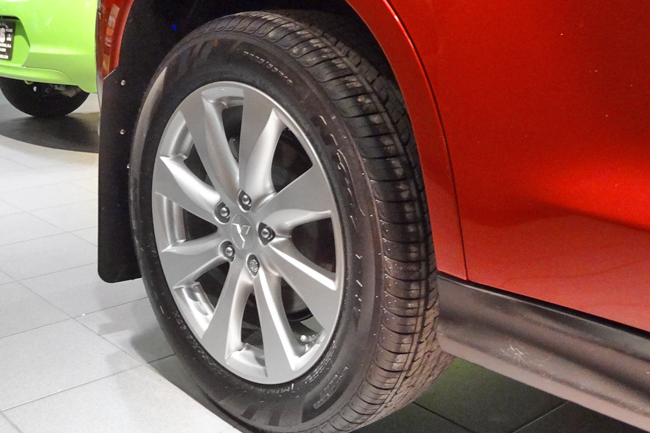 With over 11 years of experience as a leading manufacturer, find out why this application is proof that Rally Armor is the trusted resource for mud flaps. 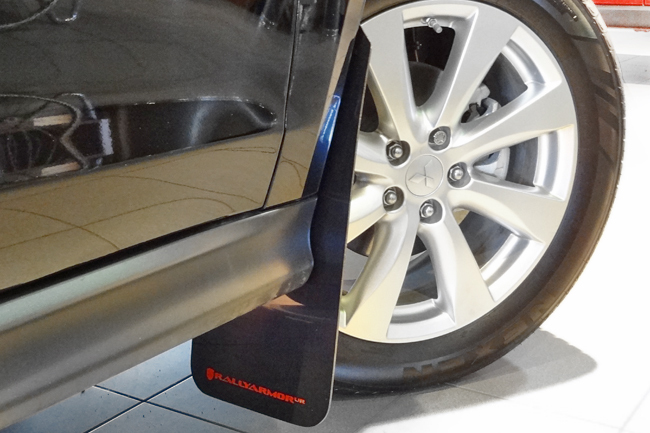 Each Rally Armor UR mud flap set for the 2010+ Mitsubishi Outlander Sport/ASX/RVR (does not fit non-Sport Outlander models) includes 4 UR mud flaps for all 4 corners of the vehicle, mounting instructions, brackets and hardware.